Center spread of the YK Live Vol. 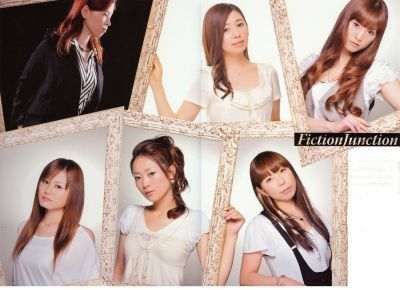 #4 pamphlet, featuring FictionJunction. Top row: Yuki Kajiura, YUUKA, KEIKO. Bottom row: KAORI, WAKANA, Yuriko Kaida.